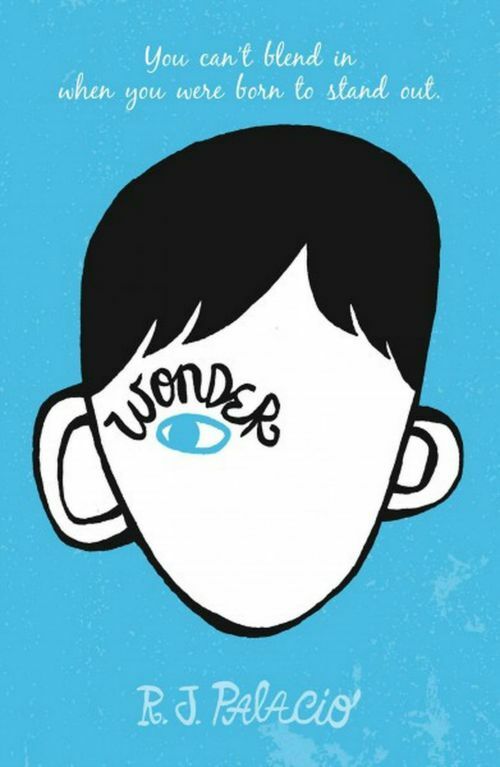 People have been raving about R.J. Palacio's contemporary novel Wonder for a few years now. Sometimes it's categorized as young adult, but sometimes it's categorized as middle grade since the main character is in the fifth grade. It's enjoyed across either age group, and I'm sure even beyond because Wonder is a bit of a wonder. August (Auggie) has a face that's very different than everyone else's. He's had correctional surgeries to improve upon his genetic misfortunes, but he's still what many would call "deformed." Since he's had so many complicated health issues between surgeries for most of his life, he's been home schooled - until now. He knows that fifth grade will be a struggle looking so different than everyone else, that not everyone will treat him well. But fortunately, he's in for some pleasant surprises amid some periods of strife. It would be easy to anticipate Wonder being a little depressing, but as I said with Francisco X. Stork's Marcelo in the Real World, it ends up being quite lighthearted and serious all at once - hence, any age group will love it. Several moments made me smile, but quite a few had me damn near crying in public as I read. I became quite attached to the characters and plowed through the pages quickly, no matter who was narrating. I actually didn't expect multiple narrators at first; I just assumed that Wonder would only be Auggie's story. But Palacio shows us how he affected other people as well, including his protective older sister, his sister's boyfriend, and his friends. There are multiple sides to every story, everyone feels something different, and all these feelings seem so real and valid. Palacio didn't really make any of them perfect or evil - rather, she showed how complicated situations can be. Even though he only gets one section, I really loved the way Justin's section was written. It seems to show that there's moe than what meets the eye: At a quick glance, Justin apparently doesn't understand punctuation, but the words themselves are gorgeous. As for the other characters? Of course, our protagonist Auggie is quite loveable and easy to sympathize with as he discovers the large spectrum of humanity in his fifth grade year. Summer always put a smile on my face as she consistently decides to choose her friendship with Auggie over all pressures, and Olivia is always sticking up for Auggie - oftentimes in rather blunt ways, which I found touching. These characters really care about one another; they warmed my heart. I suppose that's Wonder in a nuthsell: Heartwarming. Sure, some moments will put a smile on readers' faces, others will spark sympathy, but altogether, I found this book rather touching.